Are you looking for the best office chair for the money? If yes, my comprehensive review of some of the best office chairs will help you gain adequate information about all the possible choices. One of the most important requisites for any office is good office chairs. As people spend a considerable amount of time sitting on it, it is imperative that the chairs help maintain correct posture and conforms to the body shape. This not only makes sitting for long hours more comfortable but also prevents nasty pain in the neck, back and shoulders. Another important point to note is that not every chair available in the market is appropriate for you. There are a few factors that must be taken into consideration before buying the chair. I highly recommend choosing office chairs that is appropriate for your height and weight. Investing in an ergonomically designed office chair will provide adequate support to your back and legs. Therefore, if you are among the hundreds of people who spend endless hours anchored to a chair, it is important to pick up the best office chair that will provide you with maximum comfort. 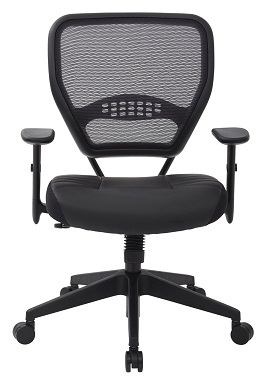 What are the important features to look for in ergonomic office chair reviews? Many experts believe that maintaining the right seat height according to the individual’s height is very important to ensure correct sitting posture. 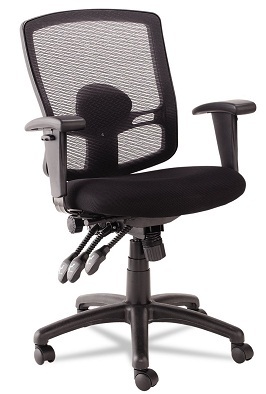 Office chairs that feature the pneumatic seat height adjustment option are the easiest to operate. It is basically a lever that helps to adjust the height of the chair up or down. The width of the seat must be adequate to fit any sized individual comfortably. The depth of the office chair must be such that it allows the person to sit back leaning against the backrest. There must be gap of at least 2 inches to 4 inches between the chair and the knees. Another feature to look out for is that the tilt of the seat must be adjustable. Our spines are designed with a natural curve and the shape resembles the letter S. An ergonomically designed chair provides adequate support to the curve and prevents slouching. 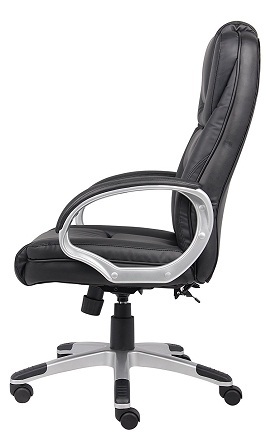 An ergonomically designed office chair must feature adjustable backrest. The users must be able to lift the backrest up and down and even tilt it to provide maximum support to the back. The backrest must also lock itself in place. 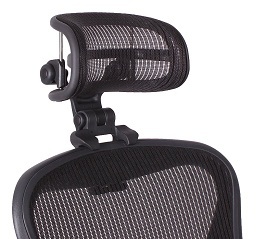 A good office chair must be made using breathable fabric like mesh. This prevents sweating and also helps to keep the user comfortable for long hours. The chair must also have sufficient padding. 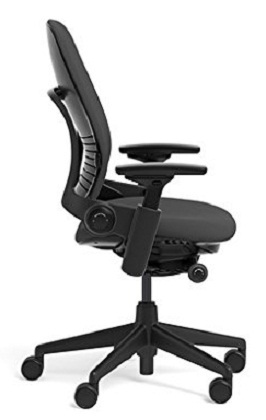 As people spent a considerable amount of time sitting on the chair at work, ergonomic office chair with adjustable arms are far more comfortable than chairs that do not have adjustable arms. Before purchasing the chair, I suggest that one must try sitting on the chair and ensure that the armrest does not interfere with the desk. The office chair must allow adjusting the armrest to different lengths and height in order to suite the requirements of the user. 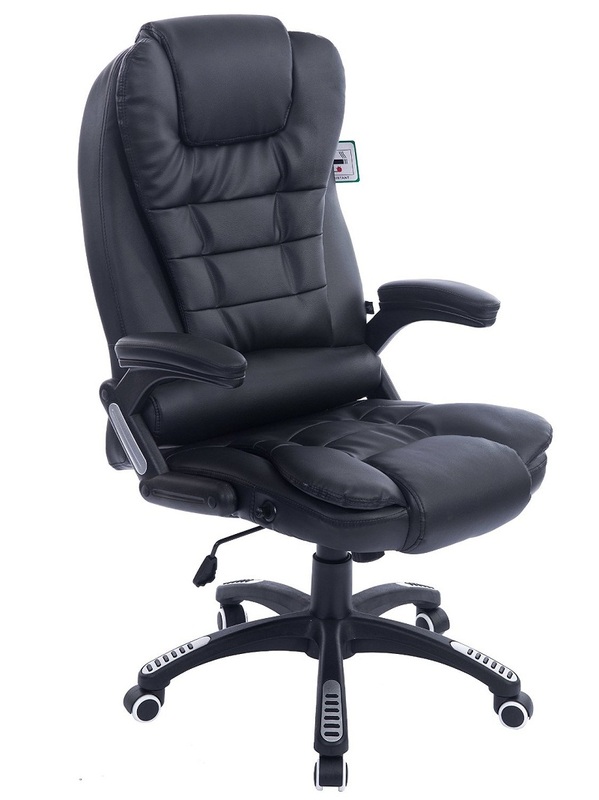 Ergonomic office chair with adjustable arms help to relieve pressure and helps to maintain good posture. As a growing number of people increasingly find themselves at jobs that requires them to sit on a chair at a desk, it has becomes extremely important to invest in a good adjustable office chair. 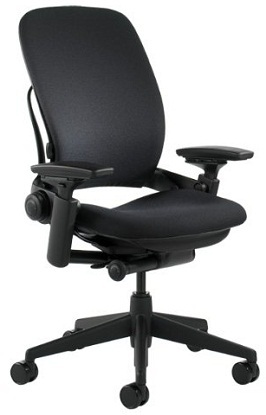 Adjustable office chairs help to maintain good sitting posture. It takes considerable pressure off the spine and prevents discomfort. Another very important factor to take into account while purchasing an office chair is that one must not need any sort of tools to assemble the chair. The office chair must be equipped with a number of adjustment features that will help to create an ideal office chair for an individual. All the features must be aligned to an individual’s height. The office chair must provide adequate lumbar support. It must support the natural S shape of the backbone. This is very important as lumbar support helps to reduce fatigue and stress suffered by the spine while sitting for long hours. All the adjustment features must be easy to operate and not require any sophisticated tools. They must get done by merely pulling a lever or pushing a button. The user manual must provide detailed information about the various features of the chair and how it can be operated conveniently. Many offices install equipments within few feet from the desk. Using office chairs with casters will allow you to simply glide over and reach for the tool instead of getting up from your chair. 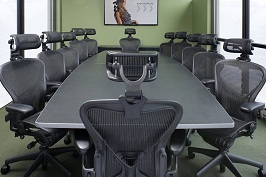 Providing office chairs with casters encourages co workers to roll over to their colleague’s desk and have productive face to face conversations. There is no denying the fact that the best office chairs with casters are more comfortable than the regular office chairs. Apart from aiding mobility, best office chairs with castors help to relieve neck and spine ache, reduces exertion and increases productivity. While castor wheels allow employees to get around easily in the office, one must keep in mind to buy the ones that are appropriate for their workspace. If the office space has soft flooring such as carpet or rubber, a hard castor wheel is the best option. If the office space has hard flooring such as concrete or wood, a soft castor wheel is ideal. How much do office ergonomic chairs costs? As a large majority of people spend a considerable about of time glued to their office chairs, it is wise to invest in a good ergonomically designed office chair. However, an office chair that is labeled “ergonomic” may not necessarily be the ideal one for you. Therefore, I highly recommend that you do adequate research on the various options available, the adjustment features and compare the price before arriving at your choice. Provide adequate support to the natural S shape of the spine and prevent slouching. Allow your feet to rest comfortably on the ground in order to promote blood circulation and avoid any pain. Allows you to reach the keyboard without excessive stretching of the wrist, neck or shoulders. Allows you to sit in a position that is at an eye level with your desktop or laptop screen. With so many features to look out for one can be rest assured that office ergonomic chairs costs are not low. Therefore, it is important to first prepare a budget in your mind and then choose an office chair that provides optimum value for the money paid. 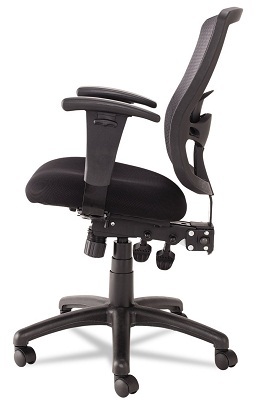 Good quality ergonomically designed chairs start from $150 and can range up to $2,000. 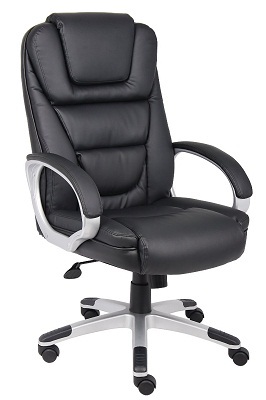 The office chairs in the price range of $150-$400 do provide some of the desirable features. Office chairs that are priced $30-$100 do not provide adequate support and lack many features even though they are labeled “ergonomic”. While some of the office chairs available in the low range segment offer some adjustable features, they do not last a long time. As working people spend around 40 hours in a week, I suggest that one must be prepared to spend an extra dollar on a chair that will benefit their health in the long run. Are you experiencing back ache that gets worse due to sitting on a chair for long hours? If yes, then I feel that there is a high probability that you are using an inappropriate office chair. 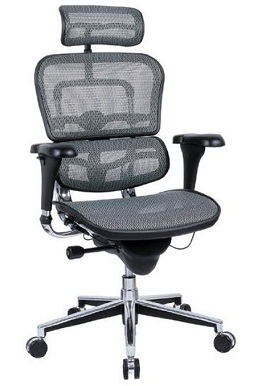 One of the best office chairs for back pain is the Ergohuman high back executive chair with headrest with grey mesh seat & back. All the adjustment features equipped in the chair can be accessed easily. The height adjustment feature of the chair is good as it does not sink after a period of time. The arm rest can be adjusted laterally, vertically and horizontally. The seat cannot be tilted up or down which may cause discomfort after prolonged sitting. 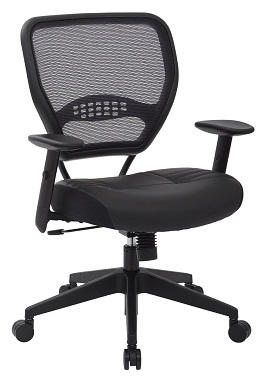 The lumbar support is integrated with the backrest and hence cannot be adjusted independently. The overall dimension of the product is 26 inches wide x 40-46 inches high x 27.5 inches deep. Customers are fairly satisfied with the product and have given it a rating of 4.2 out of a possible 5. Customers have expressed that the chair is sturdy with good quality castor wheels that aids mobility. The award for the best office chair for neck pain undoubtedly goes to the chairs designed by Herman Miller Aeron. The chairs are of top notch quality and are a result of many years of extensive research. The chairs feature a woven seat instead of the traditional foam seat. It is designed on the principles of biomorphic in order to ensure maximum comfort. The chair is equipped with a head rest that provides adequate support to the neck and the back. The office chair can adjust itself according to the movements of the user and intuitively conforms to the way the person is sitting. It has padded armrest that is also adjustable. It is backed with a 12 Year warranty that covers everything including the moving parts. The high price of the office chair might act as a deterrent to some. The overall dimension of the product is 17 1/2″wide x 19 1/2inches max height x 17″deep. Customers who have bought the product feel it is worth the money as it is highly adjustable and can be customized to suit the individual needs of the user. They have given the product a rating of 5 out 5. Are you tired of sitting on chairs that are only designed for people 6 feet tall? 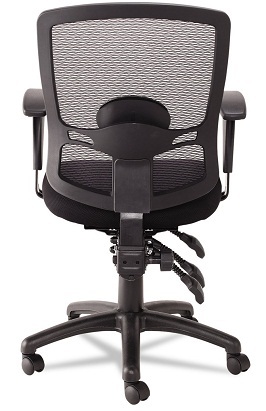 If yes I suggest you try the Alera Etros series petite mid-back multifunction with mesh chair available in black color. 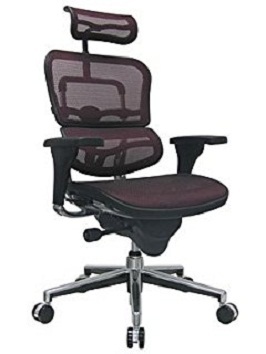 It is by far the best office chair for a petite person. It is built for people with narrow shoulders and narrow hips. The seats are well contoured and offer great comfort by evenly distributing the body weight. The users can adjust the seat height, backrest height, armchair height and tilt. 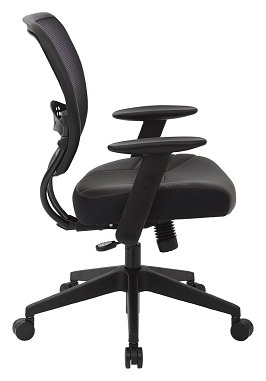 The lumbar support is especially designed for people with a petite frame. Verified customers who have bought the product are happy that the height width and depth of the chair can be adjusted with ease. 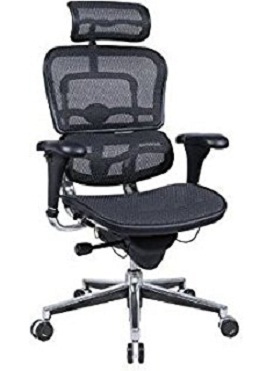 As the chair is prices under $100, it is very affordable. The chair can be assembled without any complex tools and screws. 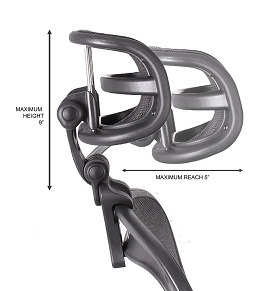 Customers who have bought the product feel it is ideal for short people. The price point of the product is very affordable. Customers have given the product a rating of 3.8 out of a possible 5. 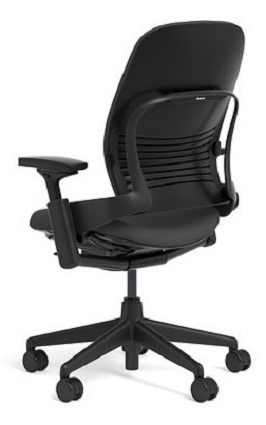 If you are looking for the best office chair for tall people, I suggest you take a look at the black Leap Fabric Chair by Steelcase. It is the best selling ergonomically designed chair that uses the livelumbar technology to ensure maximum comfort. The chair replicates the natural S shape of the spine and conforms to the user’s body shape so that they can be comfortable for long periods. It supports different postures thereby reducing the static load on the backbone. 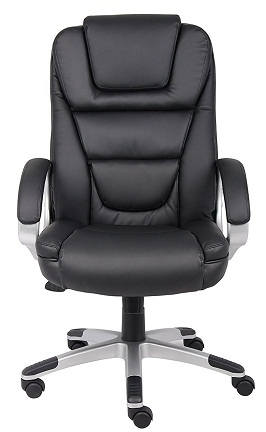 it has a natural glide system which allows the users to recline or move forward. The chair has received the silver Cradle to Cradle certification. It is made of 30% recycled material and is 98% recyclable. The chair is backed by a 12 year warranty. One size fits all. The chair adjusts itself to suite the body shape of the user. The high price can be a sticking point for some customers. The seat is very hard and can cause discomfort for people on the heavier side. The overall dimension of the product is 24.8 x 27 x 43.5 inches. Customers who have bought the product feel that it is wells suited for tall people. But many feel that the high price is a hindrance. Customers have given the product a rating of 4.1 out of a possible 5. If you are among the growing population of people who are stuck to their seats for endless hours, the black color high back leather plus chair is a perfect match for you. It is made using leather that is infused with polyurethane in order to increase the softness and durability of the product. The unique Waterfall seat design is very useful for reduces leg pain. The back support is ergonomically designed and offers adequate lumbar support. The chair is equipped with adjustable tilt feature and can be locked in upright position. It is very easy to assemble the chair and does not require any tools. The overall dimension of the product is 26.5″ W x 28″ D x 45 – 48.5″ H.
Customers who have bought the product are fairy happy with the chair as it is affordable, hassle free and features padded arm rests. Customers have given the product a rating of 3.7 out of a possible 5. 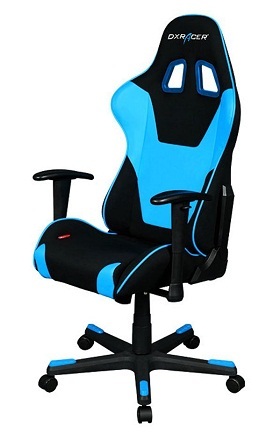 If you enjoy gaming, then it is imperative that you invest in the best office chair for gaming. this will not only help you perform better but also prevent damage to your body. 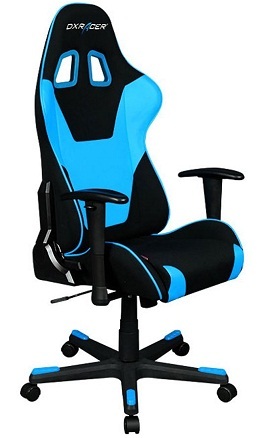 Before opting for any ordinary chair I suggest you look at the DX Racer Gaming Chair. It is ergonomically designed and helps you to be as efficient as possible while gaming without compromising on the comfort. 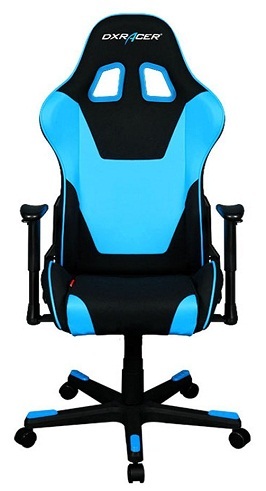 Along with the gaming chair, customers also receive lumbar cushion and headrest cushion without incurring any additional cost. As there is adequate padding provided on the backrest as well as on the seat, it is very comfortable. The breathable material used for the car seat is patented and hence one can rest assured of the quality. The overall dimension of the product is 27 x 22 x 49 inches. Customers are very happy with the product and have given it a rating of 4.6 out of a possible 5. If you are scouting for the best office chair with lumbar support, then the professional air grid chair by Space Seating is a great option. The chair starts to creek after prolonged use and requires oiling. The overall dimension of the product is 20 x 21 x 19 inches. Customers who have bought the product are happy with the price at which is chair is sold. it is very comfortable and offers adequate lumbar support. Customers have given the product a rating of 4.2 out of a possible 5. The aim of the best office chair reviews is to provide an in depth review of the various ergonomically designed chairs available in the market. All the chairs reviewed in the article provide good spinal support, helps to improve the posture and allow users to do their job comfortably. I am sure that after reading the article you will be able to choose the best office chair that fulfills your needs.